Rs 20,999 for a smartphone with the Qualcomm Snapdragon 845? The Xiaomi Poco F1 sounds great on paper, and we've reviewed it to tell you if it's the practical masterpiece it claims to be. Xiaomi Poco F1 is priced from Rs 20,999. This makes it the most affordable phone with a Snapdragon 845 SoC. You also get a notched screen with an IR-powered face unlock system. The phone might have different branding, but is a high-end Xiaomi phone at its heart. 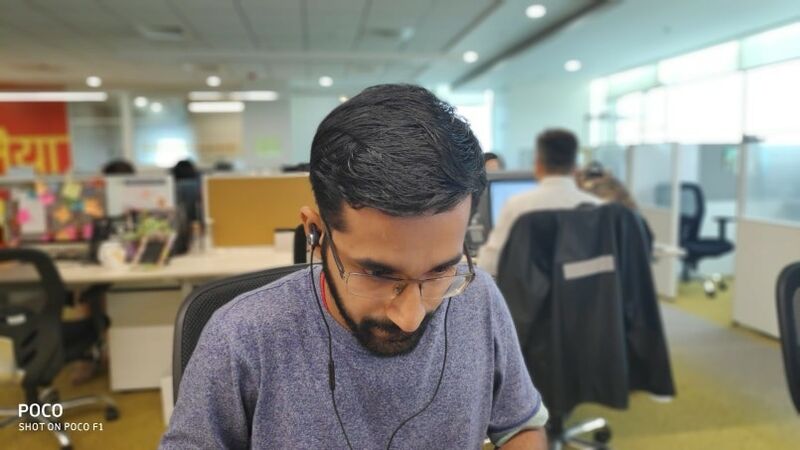 ‘Flagship smartphones cost more money’ is a universally-accepted statement, and the premium segment today is widely defined as anything above Rs 30,000. There is no doubt that there will always be an audience for very expensive smartphones such as the Samsung Galaxy Note 9 and Apple iPhone X. But the buying audience is increasingly looking for better value, and the promise of getting a phone that could cost more for less. There is also a certain set of assumptions for how much a phone should cost when it has specific components in it. 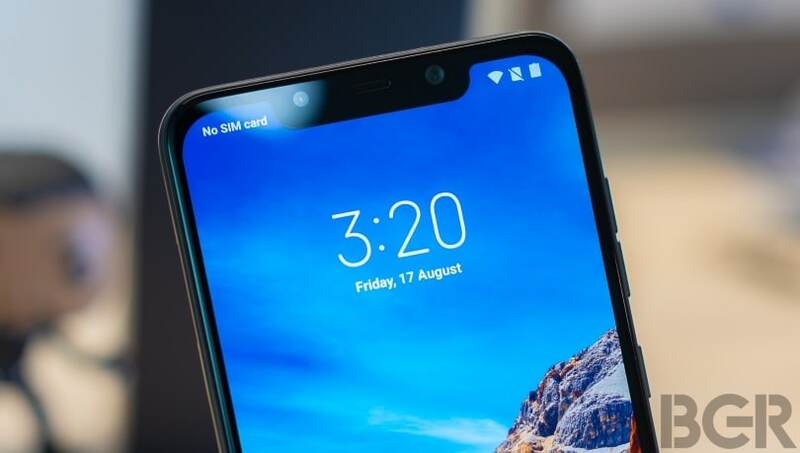 The Qualcomm Snapdragon 845 chipset, for example, is widely considered the best mobile SoC in the world, and naturally costs manufacturers a fair amount to equip on their phones. As such, when the Asus Zenfone 5Z came with the chipset at a starting price of Rs 29,999, it raised a few eyebrows. And now, not even two months later, we have a smartphone with the Snapdragon 845 SoC priced from Rs 20,999. Enter the Xiaomi Poco F1 (Poco F-one… Pocofone… Get it? ), a smartphone that defies all pricing logic, and manages to surprise even the most hardened tech cynics among us. 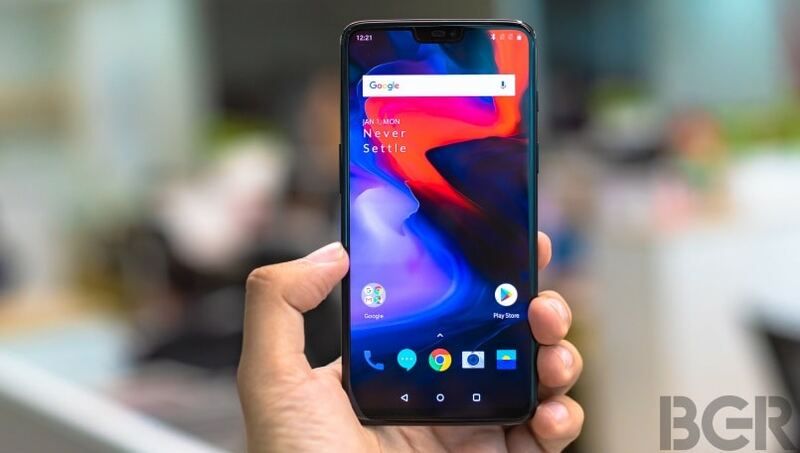 With pricing starting at a solid Rs 9,000 less than the Zenfone 5Z, and an incredible Rs 14,000 less than the current premium champion the OnePlus 6 for the equivalent variant, the Xiaomi Poco F1 has its price as its biggest USP. On paper, this is incredible value for money, and naturally we’re wondering what the catch is here. We’ve reviewed the Xiaomi Poco F1 to figure out everything there is to know. First of all, what is Poco? 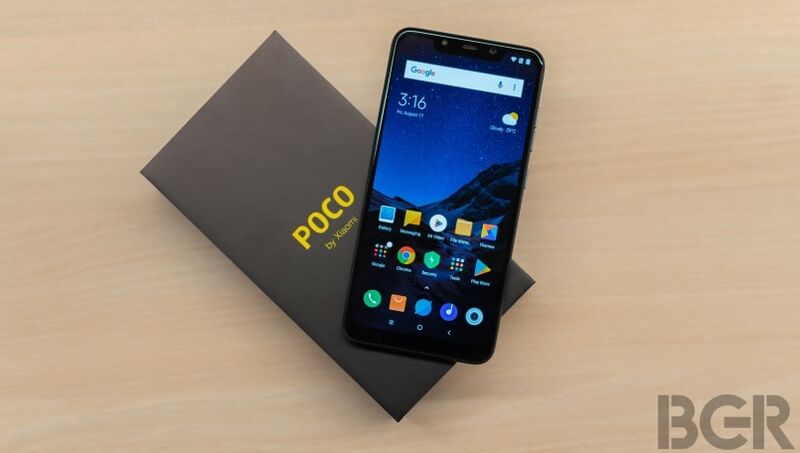 We’ve come across some silly names in technology of late, and Poco is one of them. A quick Google search tells us Poco means ‘a little’, which means that Xiaomi is calling this ‘a little phone’, which is entirely counter-productive to the cause in my opinion. That aside, Poco is a sub-brand of Xiaomi, but the brand doesn’t exactly want to shy away from identifying with its parent company. The phone and its packaging clearly mention Xiaomi and its logos. And while Poco might have its own product development team in place, it’s being marketed by Xiaomi. Sub-brands tend to be a hit-or-miss experiment if they’re marketed separately, so Poco isn’t taking any risks here. Xiaomi’s manufacturing and economies of scale, sales channels, R&D and reputation are too good to let go of, and the Poco F1 is, for now, a Xiaomi phone without quite as many Mi logos. Unless you’re Samsung or Huawei, as an Android smartphone manufacturer you’re likely shopping in the same places for components. Xiaomi has, over the years, built great relationships with component manufacturers, and has a whole lot of components at its disposal, which it acquires at competitive prices because of the sheer size of the orders it places. The Xiaomi Poco F1 appears to have been developed by digging into its huge stockpile of components, and picking the bits that it had lying around in excess, which is likely the reason for its incredible price tag. The Poco F1 comes with the Qualcomm Snapdragon 845 SoC, up to 8GB of RAM, and up to 256GB of internal storage. 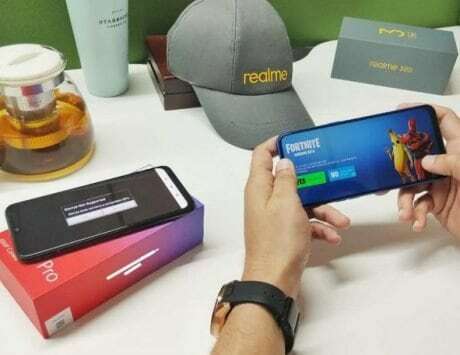 You also get a 6.18-inch full-HD+ notched IPS LCD screen with an unspecified older version of Corning Gorilla Glass on top, a hybrid dual-SIM slot, USB Type-C for charging and data transfers, a 4,000mAh battery, a Qualcomm Quick Charge 3.0 charger in the box, and all the necessary connectivity options. There’s also a 12-megapixel + 5-megapixel dual-camera setup at the rear, a 20-megapixel front camera, and IR-powered Face Unlock. We’re just guessing here, but the chipset, RAM and storage likely come from Xiaomi’s orders placed for the Mi 8 and Mi MIX 2S, the camera takes bits from the Mi 8 and Redmi Note 5 Pro, the IR-blaster for the face unlock system comes from the Mi 8, and the screen is about the same as what you’d see on the Mi MIX 2S, but slightly larger. 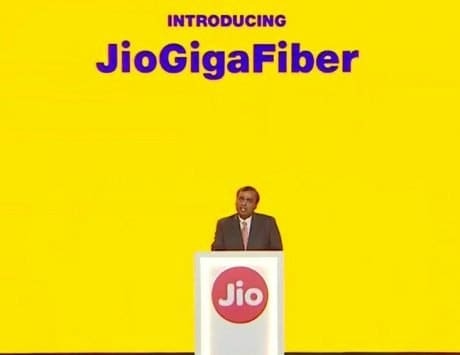 It’s an efficient strategy that helps the phone achieve its strong price, and I’d like to believe that its a strong case of what we in India call ‘jugaad‘. Part of the reason why flagship smartphones are expensive is the materials used in the build. And for some reason, flagship specifications tend to go hand-in-hand with expensive materials in the build, such as metal and glass. Here’s where Xiaomi has shown a bit of courage, by disassociating with these two elements. What you therefore get is a phone that feels like a budget or mid-range device, but runs like a flagship. And we’re surprised no one else though of this, because it’s efficient. 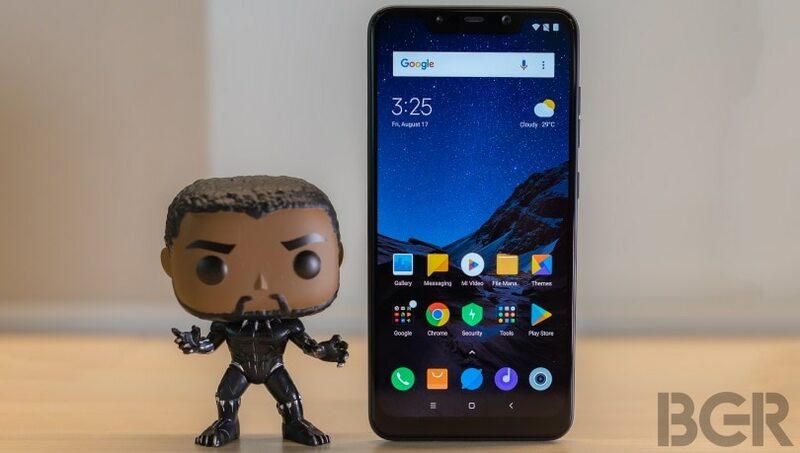 That said, the Xiaomi Poco F1 feels a bit cheap even for its price, considering that some phones that cost less sport metal and glass builds – the Honor Play and Nokia 6.1 Plus being notable examples. And unless you get the top-end Armored Edition (which retails at Rs 29,999), you’re dealing with a phone that doesn’t look or feel as nice as its price suggests. It’s one of the key reasons and compromises that allows Xiaomi to sell the phone at its price; you’re essentially trading specifications for build here, and if you want both then you’ll have to spend more money. Lets now talk about the Armored Edition. The top-end variant of the Poco F1 comes with 8GB RAM, 256GB internal storage and a Kevlar back plate, which adds a bit of style and durability to the device. While the sides are still plastic, you do have a bit more in the styling department, and the phone still costs a solid Rs 14,000 less than the OnePlus 6 with a similar RAM and storage configuration. It’s nice, but not quite as nice as say the Honor 10 or Huawei Nova 3. 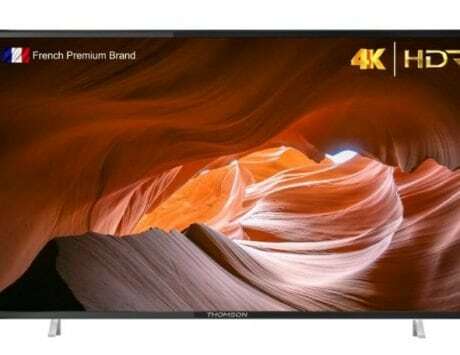 At the front, you get a modern 18.7:9 aspect ratio full-HD+ IPS LCD screen, which is perfectly pleasant for most purposes and more than you’d typically expect for the price. 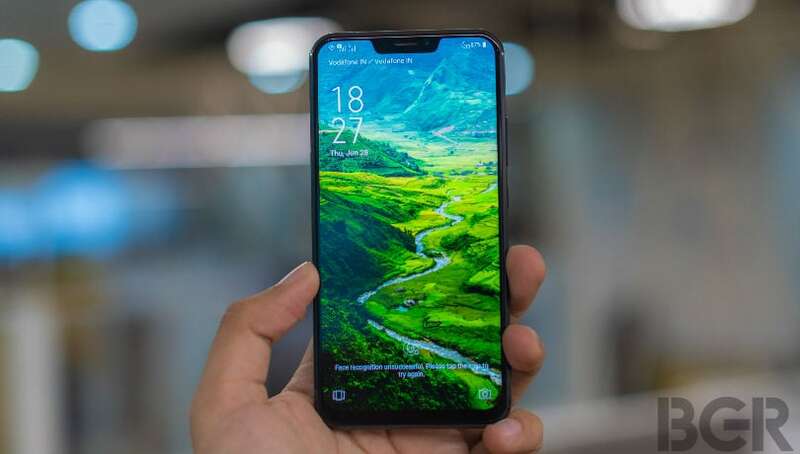 However, the phone doesn’t quite take full advantage of the big screen in terms of design; there’s a thick chin, a huge notch at the top and quite a bit of bezel all around, which tends to get in the way of the all-screen feel. That said, you still have a large 6.18-inch screen, which is more than you need for most things from gaming to media and general use. It’s also sufficiently bright, gets the colors right for the most part and works just fine. As much as the Poco F1 tries to be different, the biggest reminder that this is a Xiaomi smartphone is the fact that it runs MIUI. Anyone that has used a Xiaomi phone will be instantly familiar with things here, but there is one big change. The Poco F1 runs the Poco Launcher, which is a customized overlay that sits on top of MIUI. The launcher isn’t vastly different from the standard MIUI interface, with the same quick settings and notifications shade, settings menu, general look and feel, and system app design. There is one big difference though; the Poco Launcher is a dual-layered UI, with its own app drawer. This is in stark contrast to MIUI, which has thus far kept away from the app drawer. 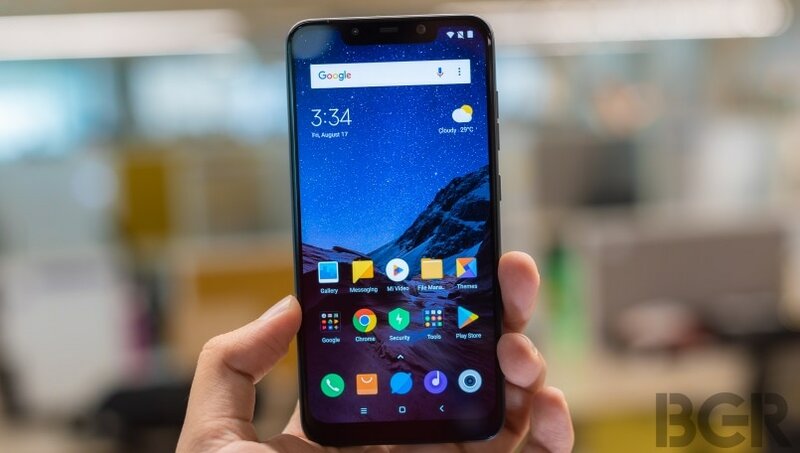 But Xiaomi went the Android One way last year, which showed that the company has been willing to experiment with features that it believes customers want. On the Poco launcher, you get an interesting app drawer that not only sorts apps by category but also by color. For example, if you can’t remember the name of the app you want but you know the icon is green, you can just press green and it filters all green apps for you. Apart from that, you can also set transition effects, change icon packs, and more. And as mentioned, veteran users of MIUI will be happy to see familiar apps and tools in place, including the excellent Security app, Mi Drop and the weather app, to name a few. All of this runs on MIUI 9.6 on top of Android 8.1 Oreo, and it’s already been confirmed that the phone will be receiving Android 9 Pie before the end of the year. Since the phone runs Android 8.1 Oreo out-of-the-box, there’s already Project Treble support built-in, which will make the software delivery a bit easier, and hopefully quicker. Considering the Poco F1 is powered by the Qualcomm Snapdragon 845 SoC, it is expected to be a performance powerhouse since the word go, and I am not disappointed. Apart from the capable chipset, our review unit is the top-of-the-line Armored Edition with 8GB of RAM and 256GB of internal storage. And practical performance is naturally excellent as a result. I ran AnTuTu on the device, and got a score of 267,671 from the test, which is fairly high on most parameters but was brought down on the memory parameter a bit. It isn’t quite as high as the scores you get from competing smartphones including the OnePlus 6, but it’s hardly an area of concern. Practically, I got flagship-grade performance throughout my time with the phone. 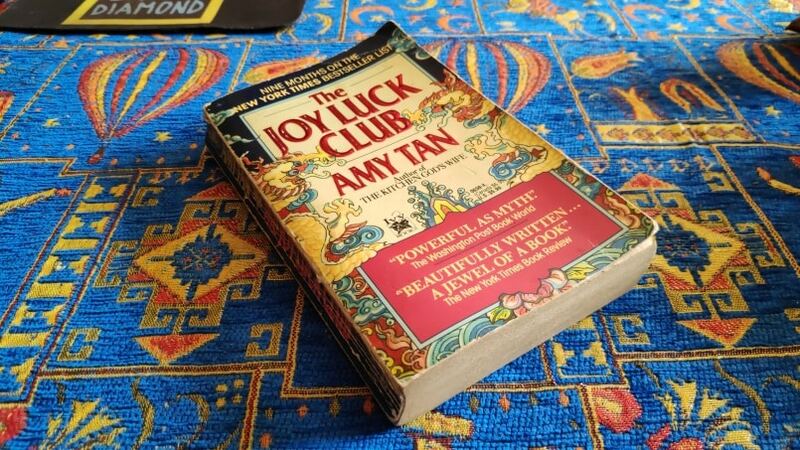 This included internet browsing, multi-tasking and heavy use such as watching videos or gaming. Part of the reason why this phone performs so well has to do with not only its design, but also one unique feature under the hood: a built-in liquid cooling solution. The plastic build is naturally better for heat dissipation, and any heat that is generated is effectively handled by the liquid cooling system. 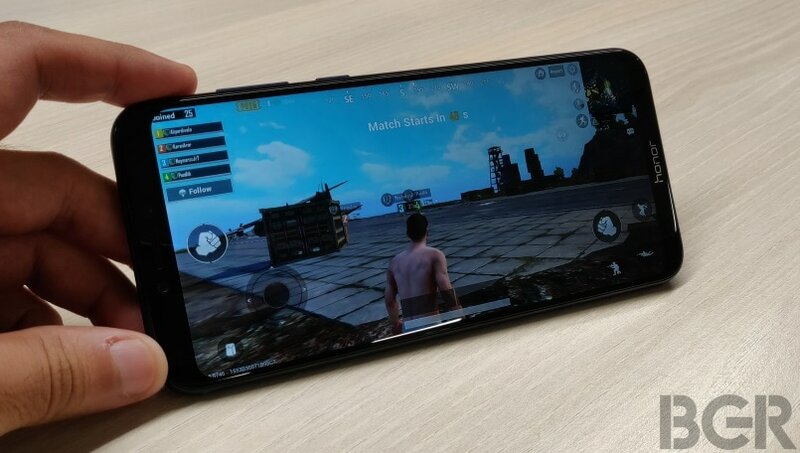 This isn’t all just marketing fluff; intense sessions of PUBG Mobile that last for well over an hour didn’t see the phone go beyond mildly warm, which is far better than I’m used to seeing on competing phones. This effective heat management also keeps the phone’s performance strong, maintaining graphics levels and frame-rates without any issues. 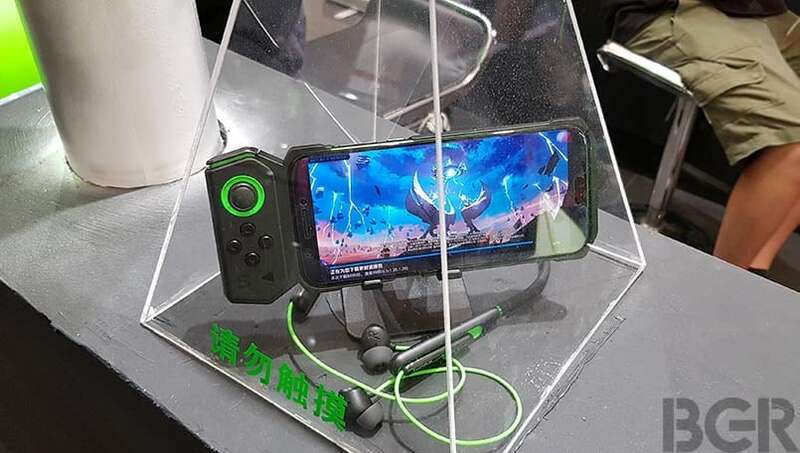 The network too holds up, letting you play online games without any hitches, and even holding on to 4G connections in areas with otherwise poor network. This translates to better voice quality on calls as well. Another feature worth talking about is the IR-enabled face unlock. While parallels are being drawn to the accuracy of Face ID on the iPhone X, there are some fundamental differences here. One similarity is the use of invisible infrared light being blasted at your face when you try to unlock the phone, which effectively illuminates your face for the front camera even in absolute darkness. However, while the iPhone X also reads face depth, the Poco F1 uses a simple image-match style face unlock, where it compares what it sees with a pre-trained face model. This is how most Android phones do it, and it remains effective for the most part, and more than adequate for most people that aren’t paranoid about security. The IR-light system works as advertised; I managed to unlock the Poco F1 in pitch black without any trouble. It’s fast, accurate, and gets it right almost 100 percent of the time regardless of lighting conditions. 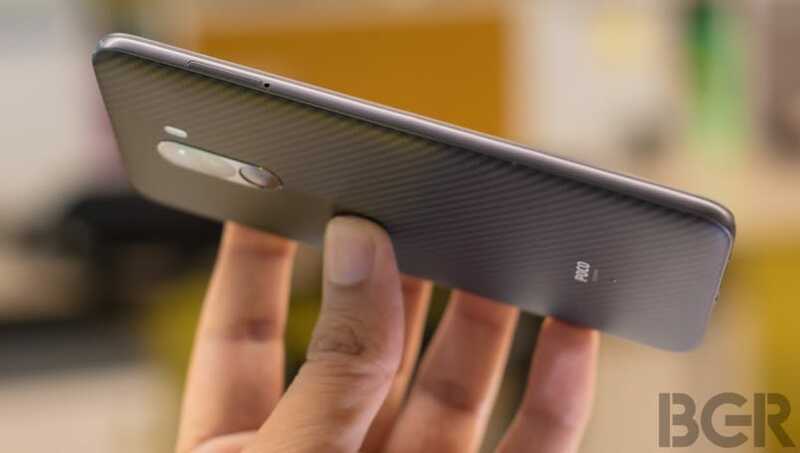 The fingerprint sensor at the back also works well, but considering how good the face unlock is, it seems like the fingerprint sensor is an entirely unnecessary addition to this phone. Anyway, I’m not going to complain about that. Battery life is great as well, and you can easily get a full day out of it even with relatively heavy usage. Charging is quick enough, thanks to the Quick Charge 3.0 charger in the box and USB Type-C port, giving you a zero-to-hundred charge in about 90 minutes. 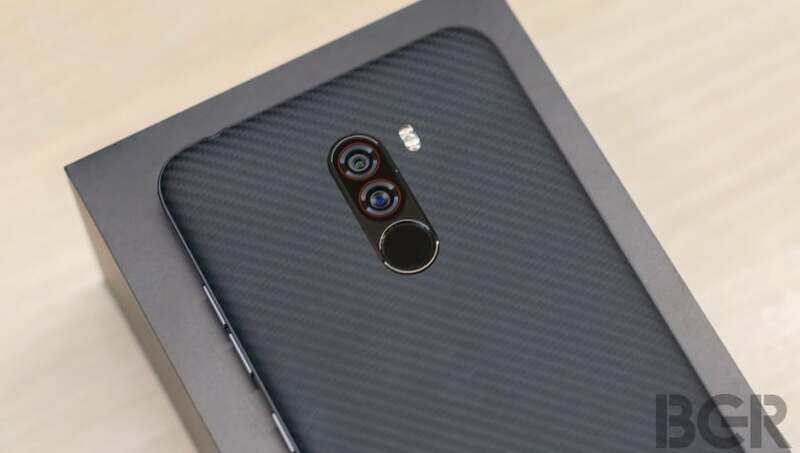 The Xiaomi Poco F1 sports a 12-megapixel + 5-megapixel dual-camera setup at the rear, and a 20-megapixel front camera. The second camera enables depth-effects for portrait shots. Video recording at up to 4K resolution is possible, and slow-motion recording at up to 240fps at 1080p is supported as well. 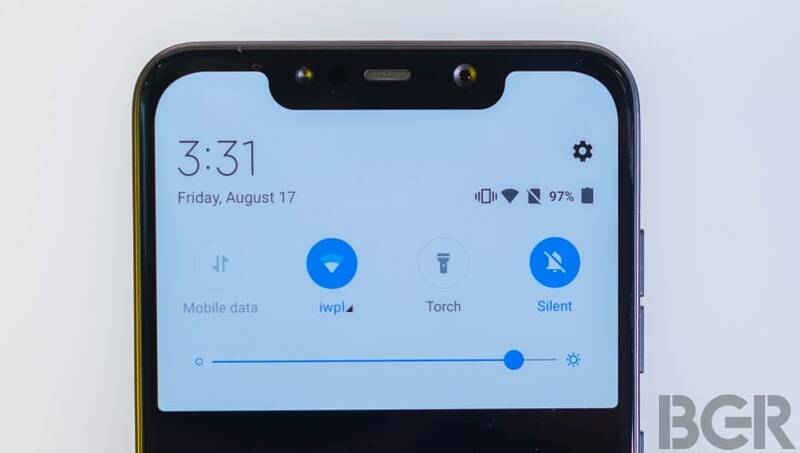 The Poco F1 is also touting AI camera features, which are said to tweak the image according to what the software detects. 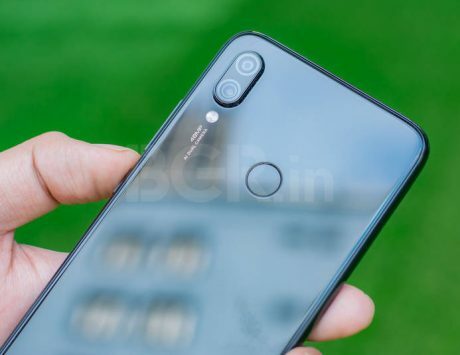 Purely on specifications, the camera is about on par with other mid-range phones in this price bracket, which is another department where you’re compromising a bit with the Poco F1, as compared to other similarly specified but admittedly more expensive devices. As such, you get what you pay for with the camera, which isn’t great but isn’t bad either. Photos in good light turn out surprisingly well, with excellent composure and colors, which is a clear benefit of the camera expertise gained during development of the Mi 8 and Mi MIX 2s. Portrait shots are decent as well, as are close-ups. Therefore, in most cases you’ll be happy with the pictures the phone takes. However, take away the light and you’re left with poor results. 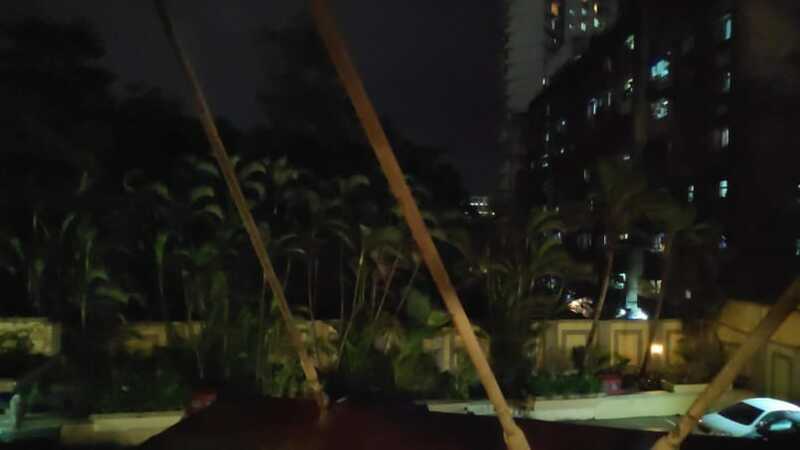 In low-light conditions, the camera seems to give up completely. The AI tweak, while sounding fun on paper, is best avoided, except maybe if you’re trying to take a particularly dramatic picture for your Instagram feed. The AI detects what you’re shooting, and activates some kind of settings that are meant to enhance the picture. 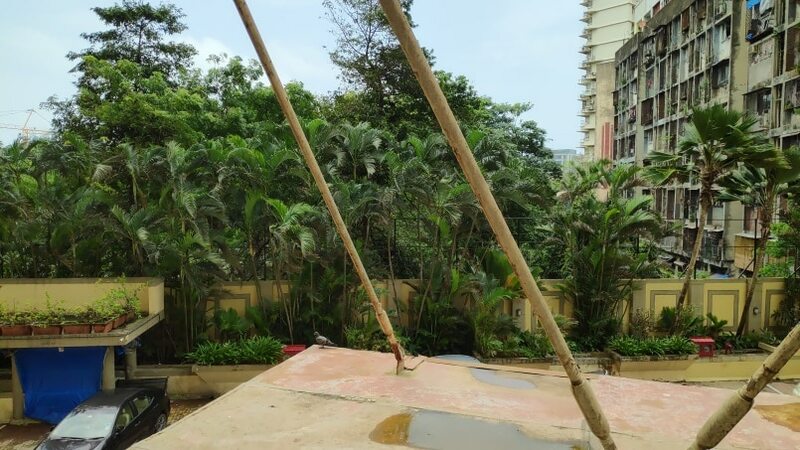 In practice, the AI mode turned regular green leaves fluorescent, ordinary pale yellow walls into something out of a cartoon, and the sky into shades that I’ve never actually seen in Mumbai. It was all a bit excessive for me, and I quickly switched off the setting. With it off, things are fortunately normal. 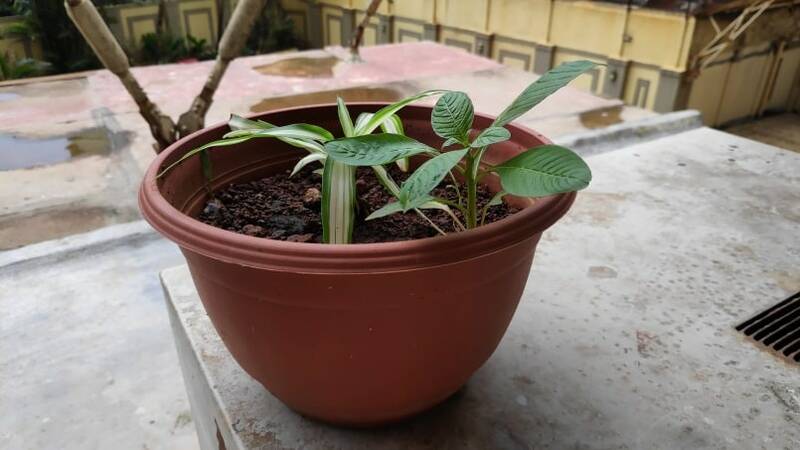 To sum up the camera, it’s got some of the qualities you see on flagship devices, but usually feels like the shooter on a mid-range device such as the Xiaomi Redmi Note 5 Pro. Essentially, the camera is as good as the phone’s price range suggests, and isn’t really a part of what makes the Xiaomi Poco F1 such a great value package. 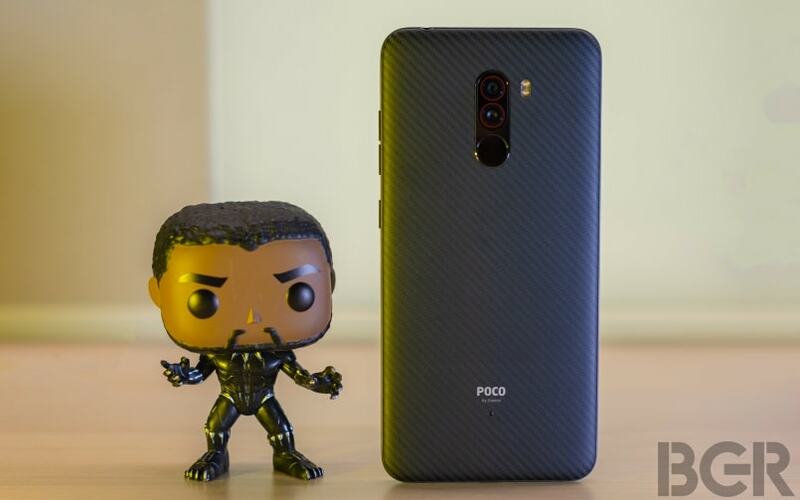 Verdict – Should you buy the Xiaomi Poco F1? 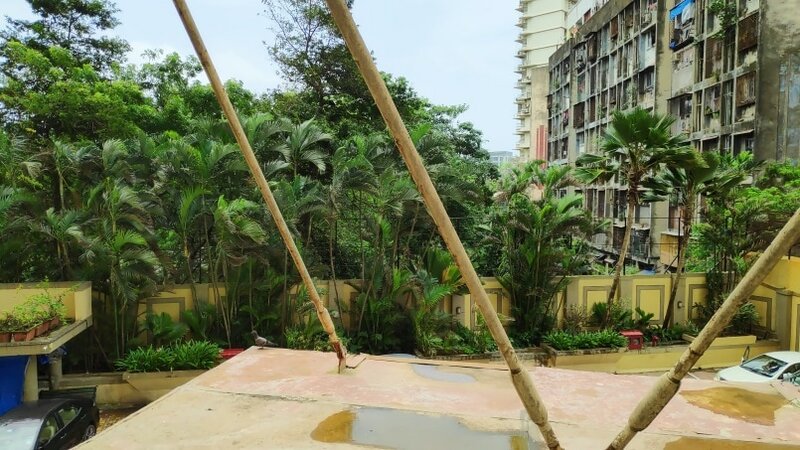 There are two ways to look at this – you can consider the Poco F1 as a suitable upgrade over the Redmi Note 5 Pro on one hand, or as Rs 10,000-15,000 saved on the other hand. If you’re looking at it from the former angle – in which case you’re looking at the 64GB or 128GB variants – you won’t be the slightest bit disappointed. For a little more money, you’re getting a camera that is equitably better, performance that is far superior, and an overall experience that will delight you. If you were willing to spend up to Rs 40,000 and wanted a flagship phone anyway, then the Poco F1 represents huge savings with compromises that you need to take a call on whether you can accept. The biggest one here is design and build quality; the phone simply does not look and feel like its price. Apart from that, the camera isn’t quite as good as phones in the Rs 30,000-40,000 segment as well. 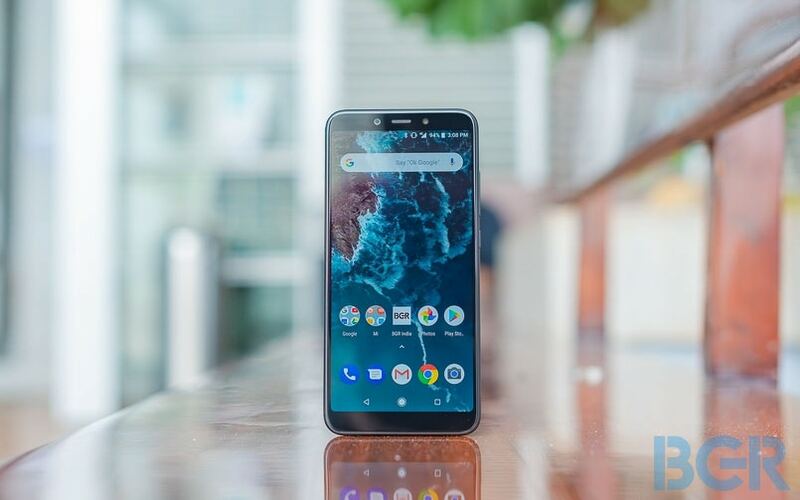 What you do get plenty of is performance, whether it’s the way the phone can handle any kind of usage, the speed and accuracy of the face unlock or the quality of the software. And not a lot of money will also get you a mammoth 256GB of storage and 8GB of RAM, which is unmatched by any other phone currently. 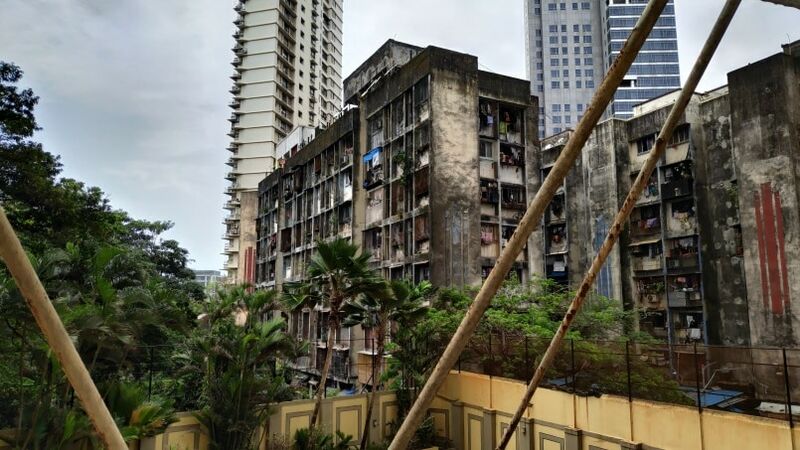 If those are your priorities and you’re willing to accept the compromises in build quality and a not-as-capable camera, the Xiaomi Poco F1 is well worth considering, particularly when you come up with other things to buy with the Rs 10,000 or more that you save.